We’ve been doing a lot lately to really set some expectations of the game when it first releases as a paid-alpha, but we also want to take this chance to talk about the game’s future. A lot of you have been asking about a road map for the game and we’re happy to share it with you now. Before that, however, I want to talk really quickly about what you can expect for the next following months from us. 1 will happen faster than 2, 2 will happen faster than 3, and so on. That’s the gist of our approach to the game’s development; Stagger the updates between stabilizing the experiences, improving the experiences, and offering brand new experiences. We really want to expose you to the game’s development and our Road map is the best way to do that. Consider it a brief look into the ideas we’re excited for and the direction the game will be pushed in. You’ll notice some labels attached to the cards. Blue labels represent “Priority” tasks for us. That is say, things we’re going to be focusing on first/next. Orange labels represent on-going tasks for us that will likely be updated in most updates we publish to the game. Things like “Bugs” and “Visual Update” on existing art content is bound to happen often. Everything else without a label is subject to change over time, as the game grows. In other words: Just because we’ve called them out in this road map doesn’t guarantee it will be in the game. It just means it’s a feature or an idea for the game we’ve been excited for and hope to one day develop, should it still feel appropriate to do so for Astroneer. In addition to checking out our road map today we’d also love to have you join us on our brand new forum. 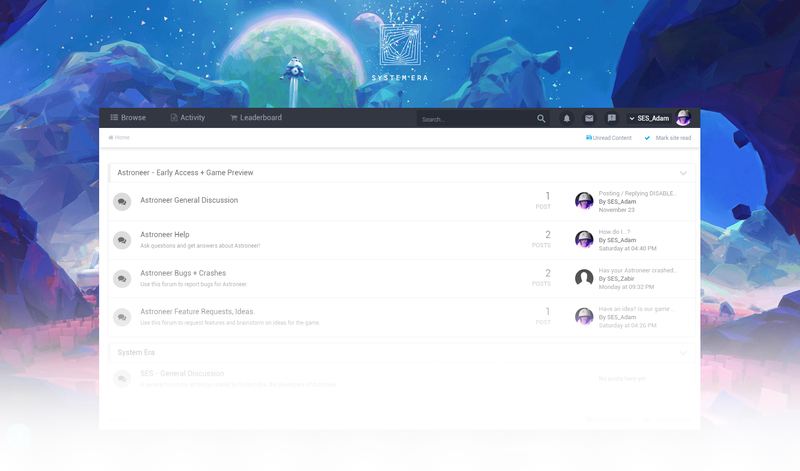 Like everything we do with Astroneer we hope to grow the official forums to something great. In this case a direct line between playing the game and giving feedback, reporting bugs, or any other comments you may of the game is really important to us. These forums and growing the community here are the first step towards that. 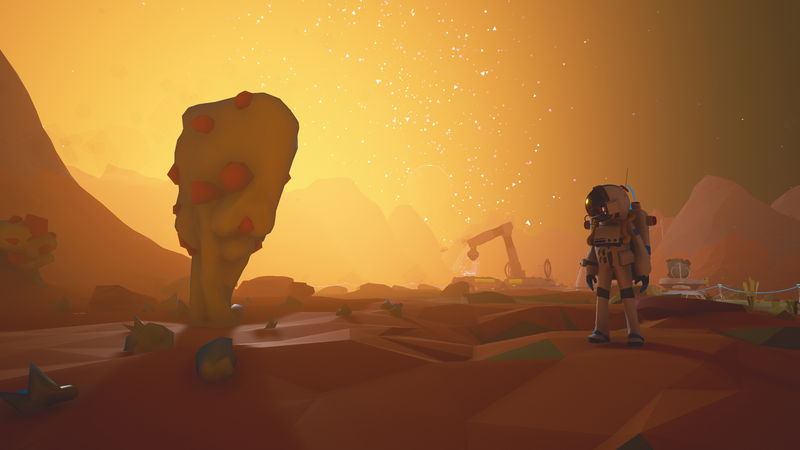 Astroneer releases tomorrow and introducing the road map and the forum to you today is an important step to us to making sure we develop this game as informed as possible. To anyone who takes the time to share a story from playing the game, or a bug they came across, or a cool idea you and a friend came up with while playing: thank you. We can’t wait to make this game.